Free your spirit in an amazing day trip from Marsa Alam to Luxor and follow the footsteps of the Ancient Pharaohs in Upper Egypt. Explore the timeless wonders of the Nile Valley and admire Karnak Temple, Queen Hatshepsut Temple, Valley of the Kings, and Colossi of Memnon. Book Now and catch these fabulous moments in order for “A Trip To Remember”. Lunch meal during your the day tour. My trip started in Cairo by being picked up to the minute(0415) by the driver, taken to the airport and flew Egypt Air to Luxor. I was picked up by a car and guide(Nermeen) who took me to see all of the sights in Luxor and the Valley of the Kings. Nermeen was extremely knowledgeable and was able to put the extraordinary art and engineering accomplishments I saw into historical context. I will recommend Egypt Tours Portal and Nermeen to friends and family. I found Egypt a great place to visit( I have been here for 10 days )and think most Americans would too. We were spending our holidays in Marsa Alam and decided to book the 1 day trip to Luxor to see some Egyptian cultural sites. After a long and tiring trip, Mahmoud really made us feel great during the whole visit: explained everything, showed us the main sites, provided cold water, juice, even ice cream (really appreciated 🙂 ). Also the lunch by the nile was very nice (good Egyptian food). We didn’t have much time to visit Luxor, but this 1 day trip was the perfect choice to see the most important sites and have a nice time away from our resort. I booked this one-day trip from Marsa Alam to Luxor online before departing to Egypt. 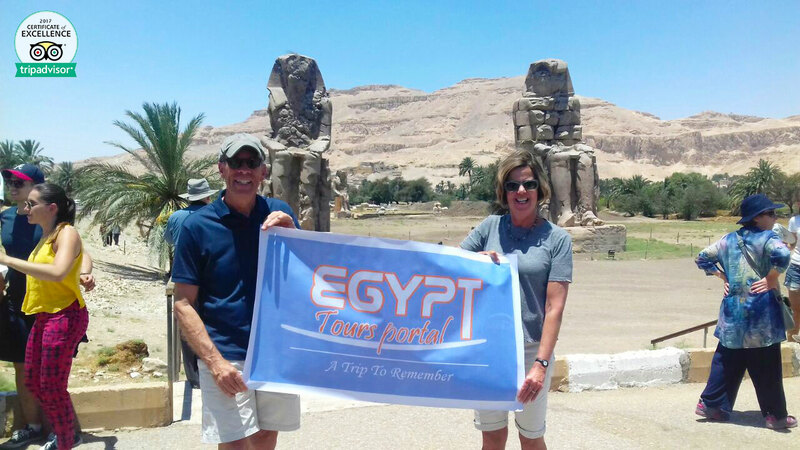 The whole process of booking with Egypts Tours Portal and staying in touch with the agency is clear and simple – we basically discussed everything by exchanging a few e-mails and the representative of the tourist agency would always respond to my messages very quickly. On the day of the trip me and my mother were both collected by the driver, who arrived on time at the main entrance of our hotel. The standard journey from Marsa Alam to Luxor takes a little over 4 hours, however ours took over 6 due to unexpected car breakdown on our way there – we were stuck in the middle of the desert and had to wait for the replacement of the car battery. It was a little inconvenient but the driver did apologise for the situation and did the best he could to resolve the problem as quickly as possible. When we finally arrived in Luxor, we were greeted by a very friendly and approachable guide whose name is Ayman. He is such a great guide – not only knowledgeable but also enthusiastic, kind and really willing to share with his customers all that passion he has for ancient Egypt and it`s history. Ayman showed us around the Great Temple of Amun, Mut and Chonsu in Karnak, pointing to us the most important parts of this huge religious complex with it`s processional route, sequence of courts embellished with obelisks, shrines and altars. The most amazing part of the temple is undoubtedly the vast hypostyle hall – a room so grand in style and size, it strikes you into silence. Wish we had more time to explore this wonderful temple of god Amun in more detail. However the time is limited – one simply can not see everything during one day, so we had to move on. After leaving the Karnak Temple we enjoyed a very tasty lunch on the rooftop of the local restaurant, which had beautiful views over the Nile river. Next we were taken to the famous Valley of the Kings – the final resting place for many of Egypt`s Great Pharaohs. Once again our guide shared his passion for the history of this place with us and gave us little hints on the subject of visiting three different tombs. Later we also visited the most famous funerary temple built for Queen Hatshepsut – the female Pharaoh as well as Colossi of Memnon – two massive stone statues of Pharaoh Amenhotep III – the only remains of his funerary temple, located on the west bank of the river Nile. We also had some time for taking photos and buying some gifts in the local workshop, before saying good bye to our guide and departing back for Marsa Alam. Fortunately our journey back was free from any obstacles. 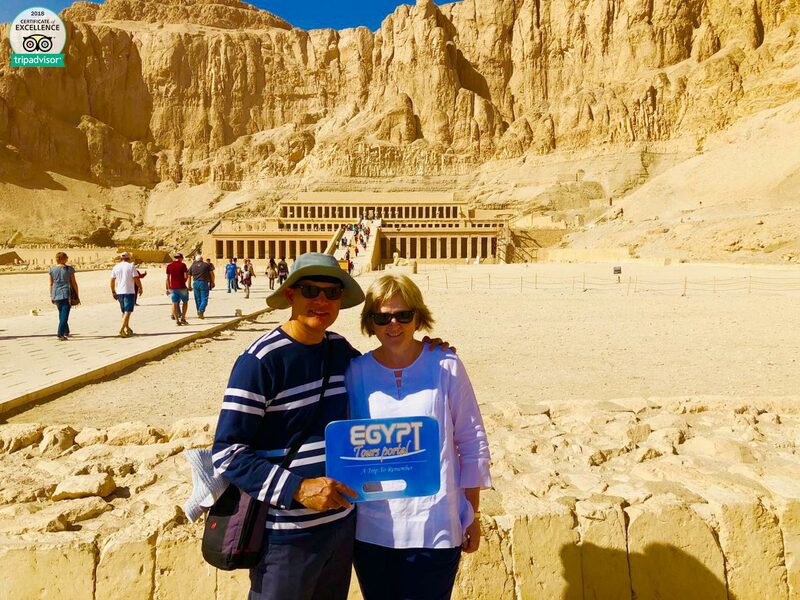 It was an enjoyable experience for both me and my mother – we love the history of Egypt and hope to come back to the Valley of the Nile in not to distant future.